A quote by Neil deGrasse Tyson, still holds true to this day and the days yet to come. We often limit ourselves to see the beauty of the world in accordance to what we know about it. Surprisingly enough, the many wonders of the world are no secret to those that realize that even places we may not have thought to visit are hosts to some of the most beautiful destinations, cultures, people and traditions. For me, visiting Jordan was a bucket list item that I simply couldn’t wait to check off. Before I get into many of the beautiful places that we visited during our trip to Jordan back in September of 2018, let’s start with a brief fact and history lesson. Jordan covers an area of approximately 35,475 square miles. It’s sandwiched between Saudi Arabia in the south, Syria in the north, Iraq in the east and the Jordan river in the west. 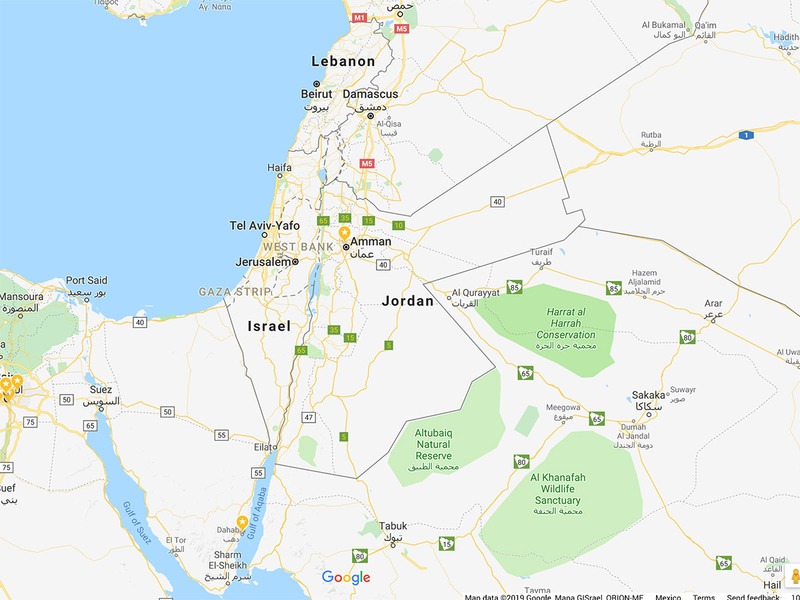 The topography of Jordan gives it features such as sandy, barren deserts, vibrant rock formations and mountains, and having the lowest point on Earth – the iconic Dead Sea. The country itself is home to a variety of historical destinations such as as Petra; considered to be one of the New 7 Wonders of the World. 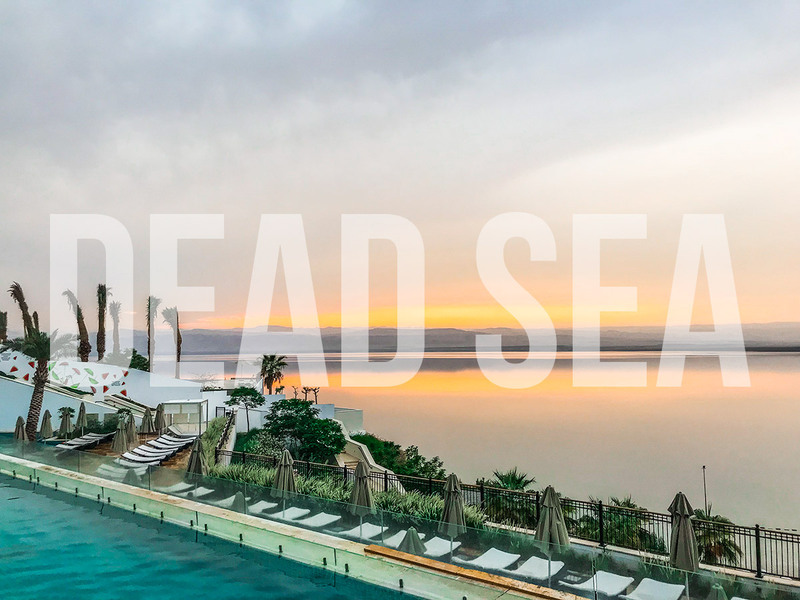 The iconic Dead Sea where you can float effortlessly on the water as you read your favorite magazine. Amman; a city that is both modern and historical which fully embraces its past – giving it the essence of being new and old. Hearing such details surely fills ones imagination of the beautiful sites to see in Jordan. 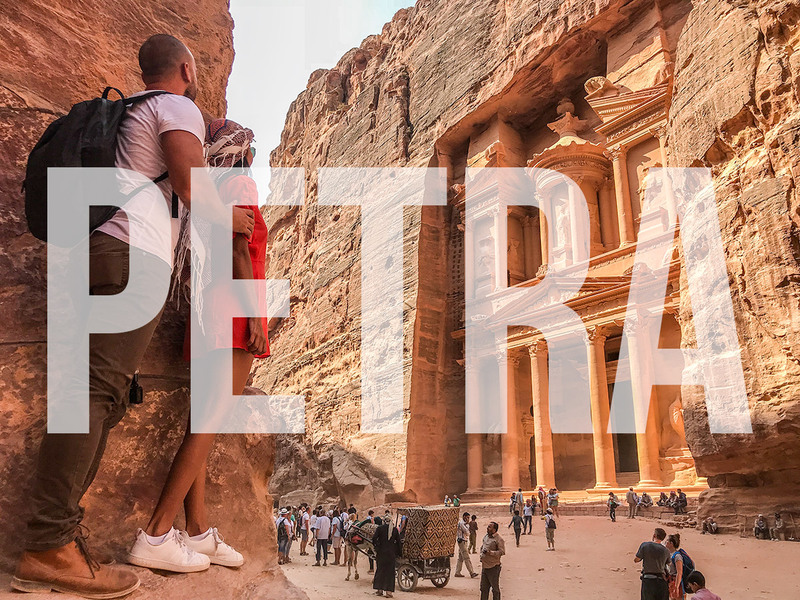 With so many incredible destinations to cover in Jordan, let’s go ahead and start with Jordan’s most popular tourist site and one of the New 7 Wonders of the World – Petra. “Beauty shall never fade even with the thought of time”, Petra is a wonder of the world that holds true to this testament. The city, which is also known as Al-Batrā in Arabic, was first established around 300 BC, making it one of the oldest metropolises in the world. Petra which is located between the Red Sea and the Dead Sea is historically pivotal for being a crossroads between Arabia, and Syria. The main siq, or red rock canyon which leads you to the front doorstep of the Treasury is part of what makes Petra so special. The fact that some of the carvings and structures that you see along the way still stand to this day amid the harsh desert conditions and the blowing of salty winds from the Dead Sea is a true testament that beauty truly stands the test of time. 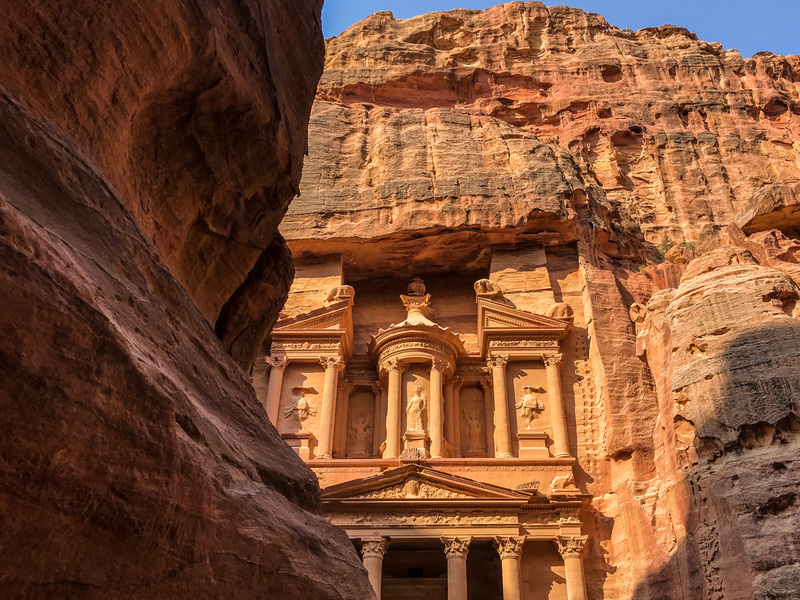 There are more than 800 individual monuments that can be found in Petra including tombs, buildings, temples, and so much more. 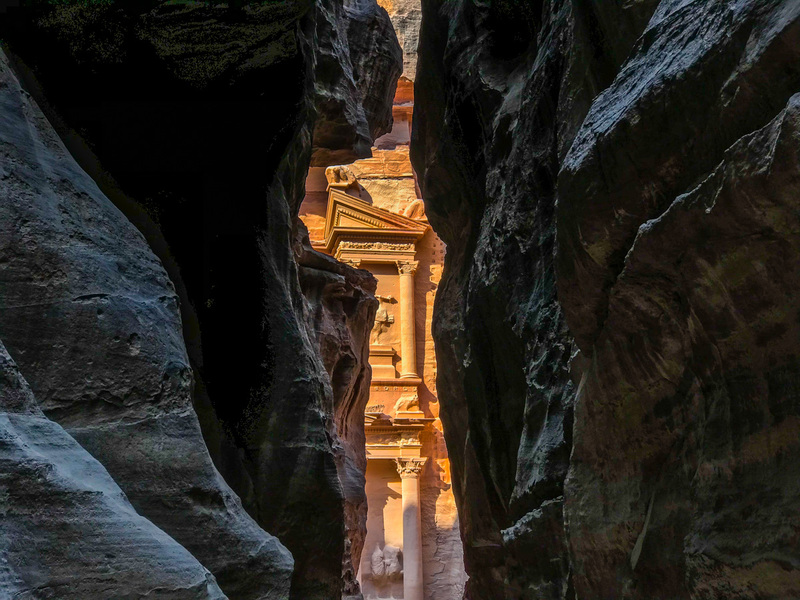 The most popular site in Petra is known as the Treasury which can be seen below. Sadly some of the priceless carvings on which were once found on the Treasury’s walls have been destroyed due to being made as target practice for Bedouins or desert dwellers. That said, the facade of the treasury is still in remarkable shape considering it has also had to face the elements over the years. Petra, which the majority of people may come to visit in the daytime, can also be experienced in what is called as “Petra by Night”. 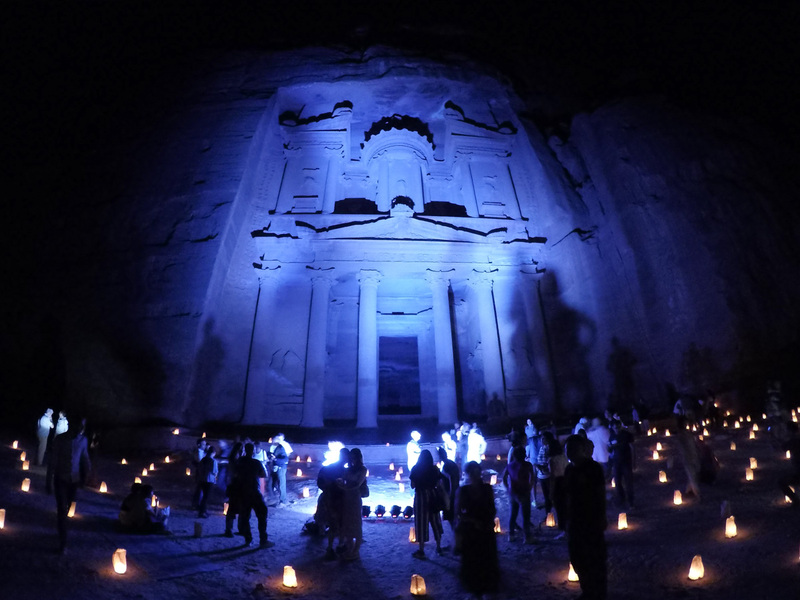 Petra by Night is something I highly recommend as it allows you to hike the siq from the visitor center by moonlight and candlelit paths until you arrive at the treasury where you experience a short sound and light show. If you’re planning on adding Petra by Night to your itinerary, I suggest you do it the night before you make your actual visit to Petra. Wadi Rum also known as “The Valley of the Moon” although known to have had harsh desert conditions in the past has rather become a top tourist destination for its beautiful desert scenery, stargazing opportunities and bubble tent camps which look like a futuristic colony on Mars. 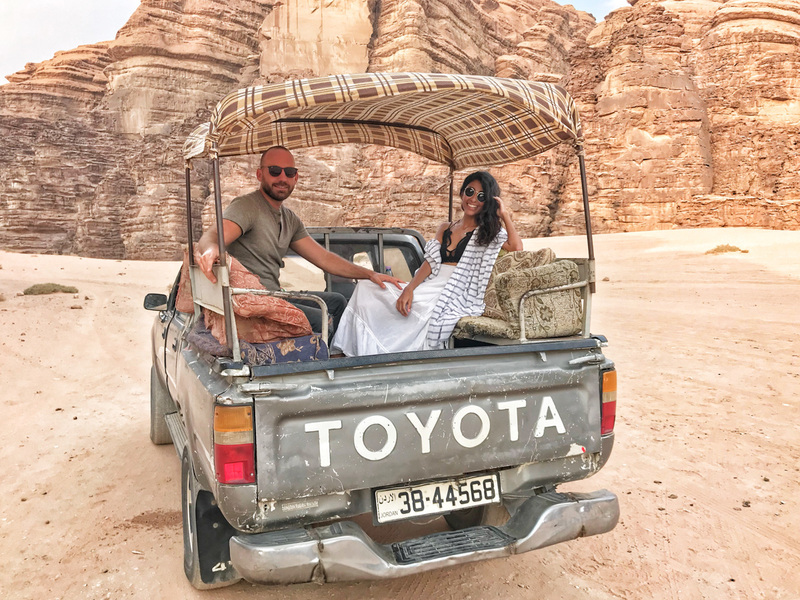 There’s a reason why Wadi Rum is the second most visited site in Jordan — whatever you do, do not miss out on the opportunity to spend a night or two in the desert of Wadi Rum. 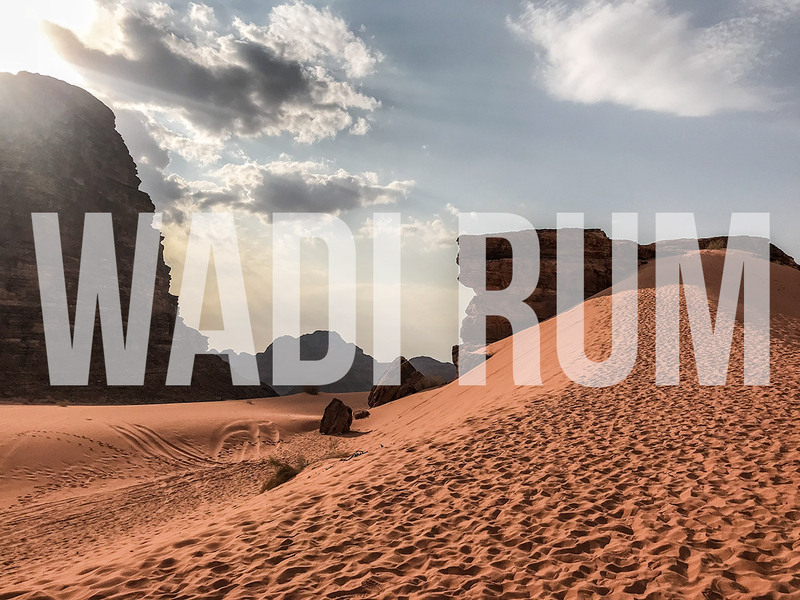 Wadi Rum offers plenty of accommodation options ranging from budget camps to luxurious Bedouin camps with numerous facilities and entertainment to accommodate guests. 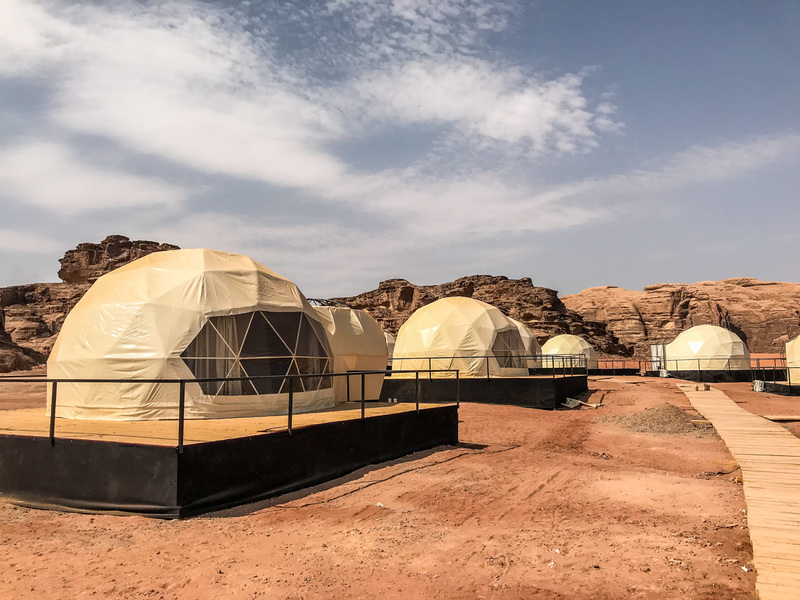 Believe it or not, Wadi Rum is home to an estimated 150+ camps and the most popular ones are those that offer the opportunity to stay in what is known as a “bubble tent”. Due to the fact that you’re staying in the middle of the desert, there’s not too much to do other than take part in a desert safari (highly recommended), watching the sunset alongside a fire while drinking bedouin tea or simply enjoying the tranquility of your camp. Of course being in the middle of the desert at night is the place to be if you enjoy stargazing without a trace of light pollution. The iconic Dead Sea bordered by Jordan to the east, contrary to its name, is not a sea but in fact a salt lake. The Dead Sea is not connected to an ocean but rather has a single source — the Jordan River. 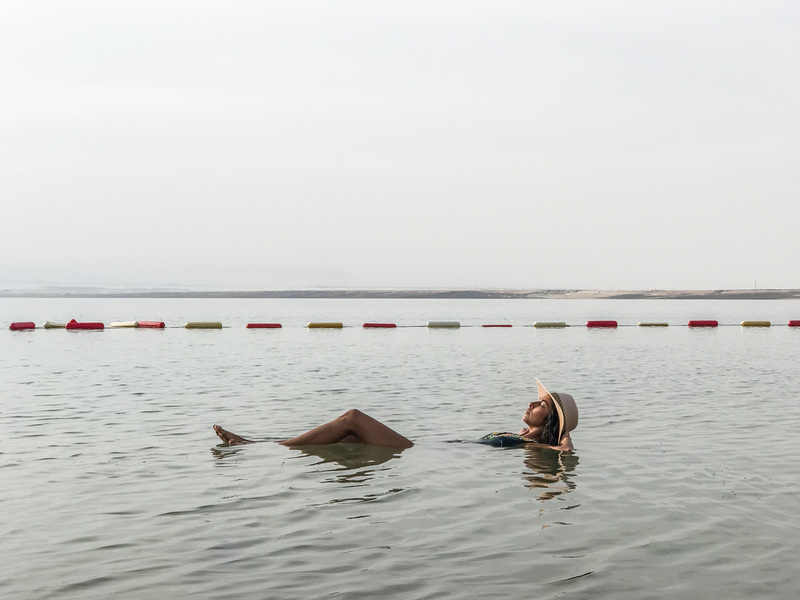 Being the lowest point on Earth (1,400 ft below sea level) the Dead Sea has become an attraction to many and people have come from all over the world to see if you can actually float on the water effortlessly (spoiler alert: you can!). It is not an anomaly but rather the unusually high salinity of the water which makes you float with ease due to the buoyancy. The Dead Sea has a salinity of 33.7% which gives it an environment animals cannot survive in, hence the name. 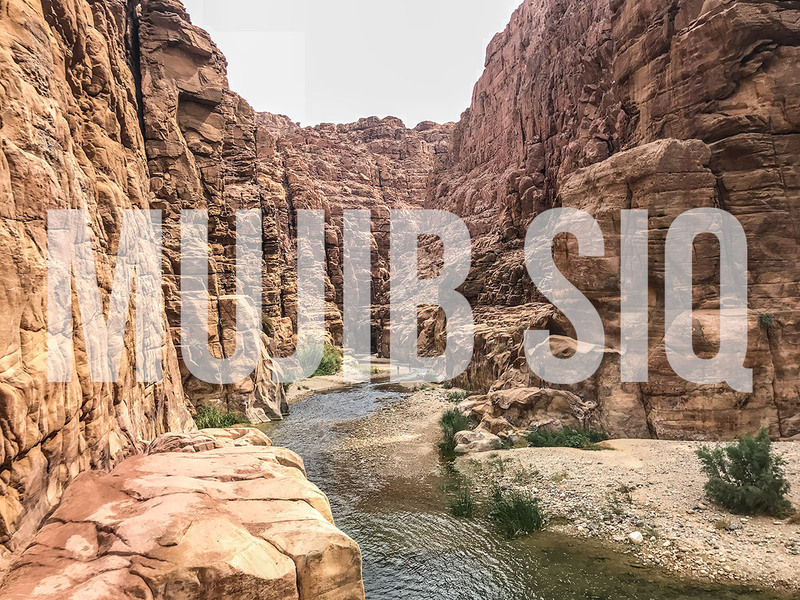 The Mujib Siq or Siq trail is an adventure which focuses on venturing into a deep canyon while wading through the flowing river water, climbing small waterfalls and jumping into deep pools on the return journey back to the visitor center. The area, although located near resorts and just a short drive from the Dead Sea is easy to get to but it is advised that individuals who wish to go to the area should take a car or a taxi since public transport may not reach the area easily. If you wish to explore Mujib Siq on your own you may do so but it’s only advised if you’re confident in the water. If not, it is highly recommended to rent a guide (guides can be found inside the visitor center) as they provide an extra layer of safety for your adventure. Another benefit to renting a guide is that they will be very familiar and knowledgable of the area so you’ll likely get to hear a lot of stories and fun facts about the region. The canyoning experience in Mujib Siq usually takes 2-3 hours (return) although if you go alone, you can opt to stay as long as you’d like. We considered the canyoning experience at Mujib Siq to be one of the many highlights of our trip and we really can’t recommend it enough. 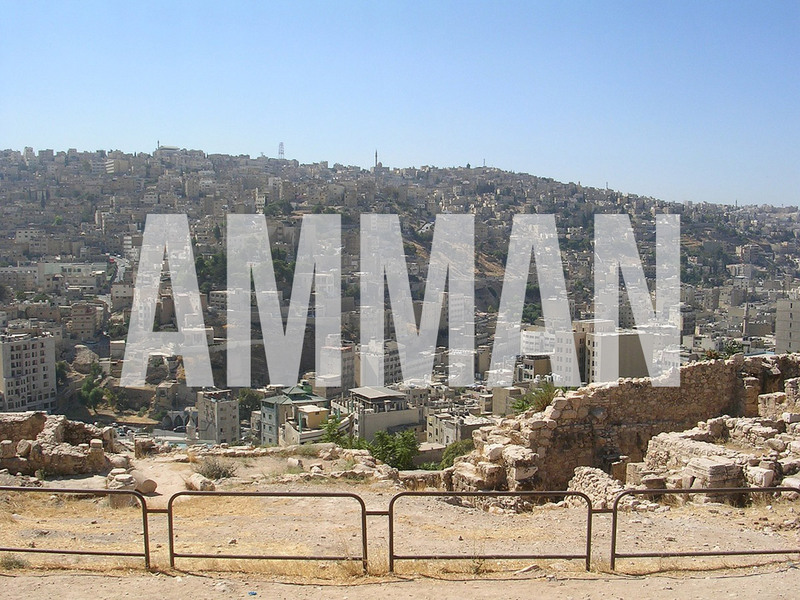 Amman is the capital of Jordan and home to approximately 4 million people. Some of the many sites include The Jordan Museum, Amman Citadel and Amman Roman Theatre. 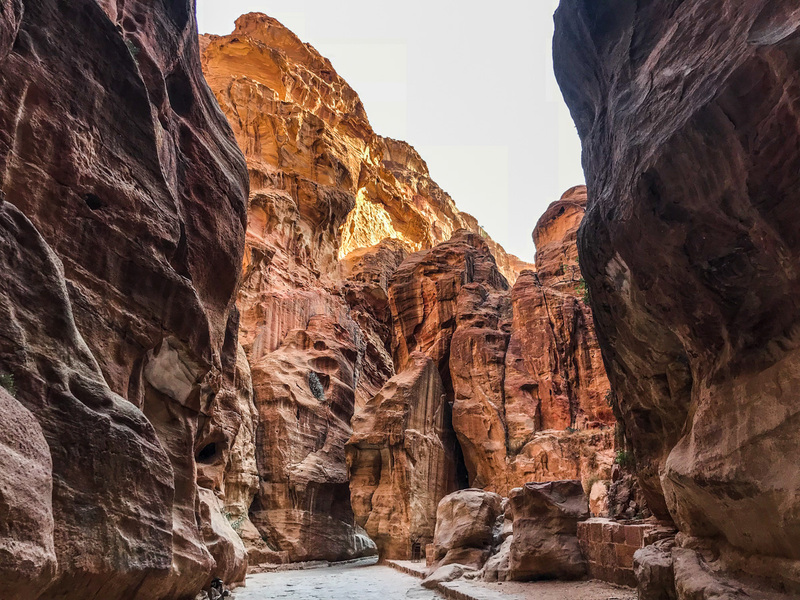 While we enjoyed our time in Amman, we would recommend spending more time in the other destinations such as Petra, Wadi Rum and the Dead Sea if you have the chance. Jerash is located just north of Amman and is an ancient city which gives you the chance to truly experience Jordan’s history and culture. Some of the highlights of the ancient city of Jerash include the Colonnaded Street and the Oval Forum. 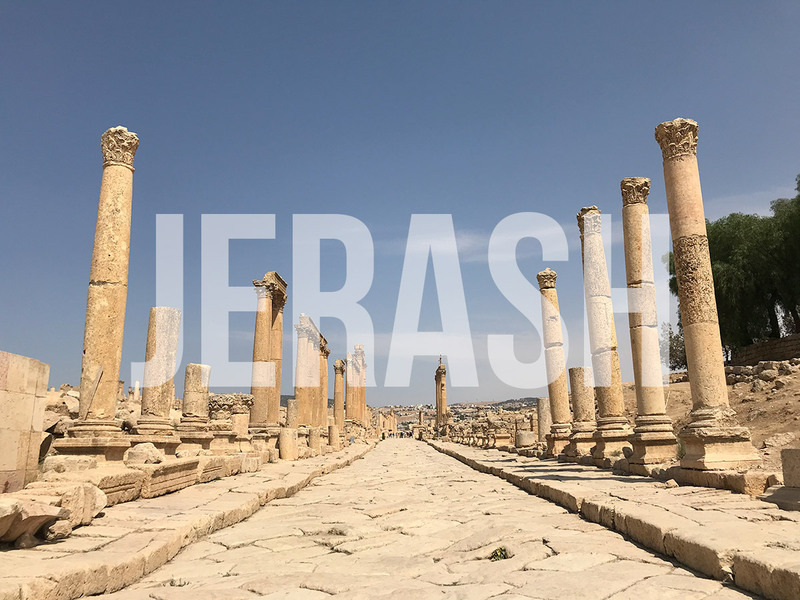 Jerash has a rather small population of around 51,000 compared to the colossal population of Amman, but don’t let the small population distract you from what the city has to offer. Note: Jerash is home to some of the most impressive and well preserved ancient ruins that I’ve visited to date. To say that this city is a must-visit is an absolute understatement. While there is no need to spend a night in Jerash, a day-trip is not to be missed. Overall, a trip to Jordan is an experience of a lifetime and an unforgettable one at that. If Jordan isn’t on your bucket list as of yet, I’m hoping this article will inspire you to visit. We organized our entire trip to Jordan from start to finish with the help of the good folks at Travco Jordan. If you have any questions about Jordan or our itinerary, please feel free to leave a comment below and I’ll respond as soon as possible. Now, that’s a real beauty. 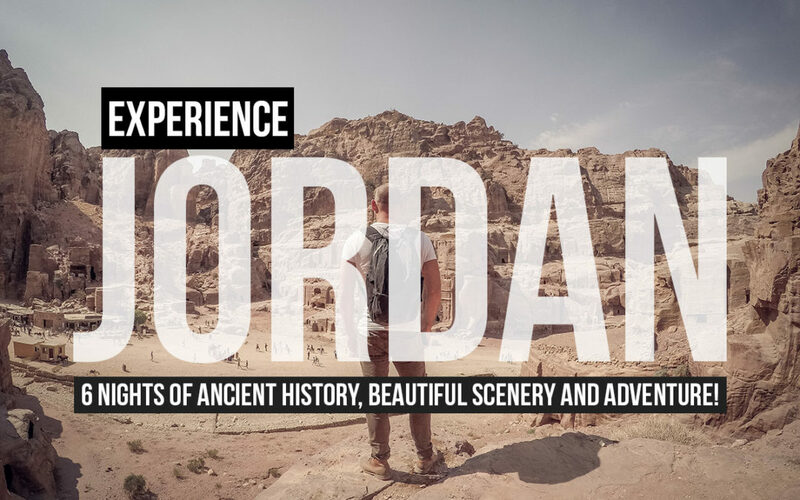 I’m putting Jordan on my travel bucket list. How much was your budget for the whole Jordan trip? Hi Ben. Thanks for the feedback! I assure you that you’ll have an incredible time in Jordan. I don’t have the numbers handy right now but if you want to shoot me an email I can gather up some info for you. Thanks! So excited to see you’re putting on yours for Jordan!! What is the rough cost of the 6 day tour? See if it’s in our budget with wedding costs and all lol. Hi Jenn! Thanks for the comment. I haven’t solidified any plans for a tour in Jordan as of yet although when/if I do, I will definitely let you know. That aside, it was one hell of a trip and I highly recommend it! Miss you guys — best of luck! Hi Ryan! Thanks for sharing the beauty of Jordan through your article. Jordan is on my bucket list this 2019 and can’t wait to float on the Dead Sea. Thanks Kathy! You’re going to love it!